Pen and Paper: MISS MARY'S BOOK OF DREAMS. MISS MARY'S BOOK OF DREAMS. 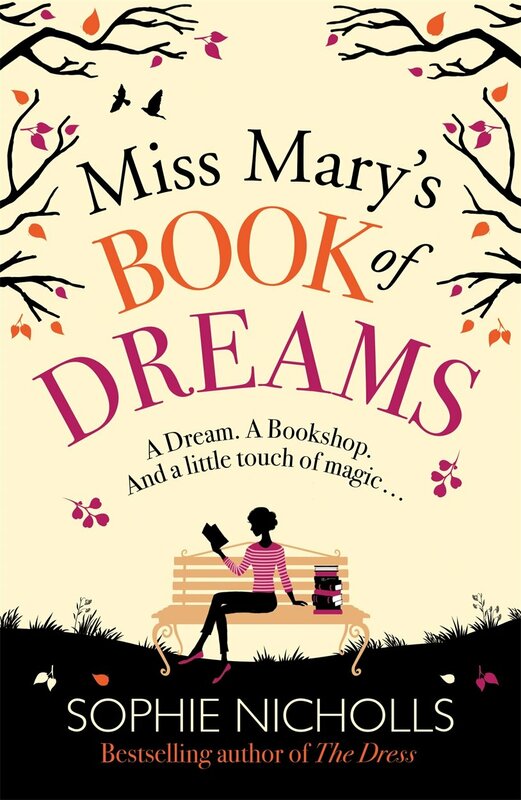 MISS MARY'S BOOK OF DREAMS by SOPHIE NICHOLLS. With the help of one very special book - and a little touch of magic - can these women help each other find the fairy tale endings they've been searching for? A pair of leopard print shoes, size 37. For my Memorable Moment please read My Thoughts below. For me personally by far the best part of this book were the advice/spells from Miss Mary's Book Of Dreams (such as that above) which head every chapter. It's just a shame that the contents of that chapter didn't somehow tie in with this. Having read the book before I realised it was actually part two of what I believe to be a trilogy, whilst certain characters/elements of the story where fleshed out enough so that I could make sense of them, there were characters/events that, only alluded to here, at the time had me rubbing my head; wondering had I missed something, had I perhaps turned more than one page, when, no, I simply hadn't read the previous book when presumably these things were dealt with. That said, taken as an individual read rather than as part of a series, I felt I would have enjoyed the book even more if it weren't for the fact that the author tried to thread three separate stories together. Three stories that albeit connected by the 'magical' element, for me personally, read more like a set of short stories than a novel. Not something I tend to favour and alas, in this instance, meant I had difficulty connecting characters and events. I love the sound of this one. I will definitely have to check it out. It's good to know it's the second book. I'll have to look for the first. That is a shame that she didn't tie the intros to each chapter into the storyline. I read a series that weaves herbal lore and advice into each chapter, including the overall theme of the book. Always a clever idea when done well. You had me at "a bookshop nestled in the cobbled streets of York", though I might have to read them in order. I like the sound of it, and will do as Literary Feline is and look for the first. I know what you mean about separate stories put together and it not working. It can seem forced. Two are often fine, though. Tracy, I'm glad that you enjoyed this overall. It seems to possess a lovely sense of whimsy. Thanks for sharing your honest thoughts with us. Too bad it didn't connect for you. Sounds like it would be better without the magical element. Still sounds like it was somewhat enjoyable to read.